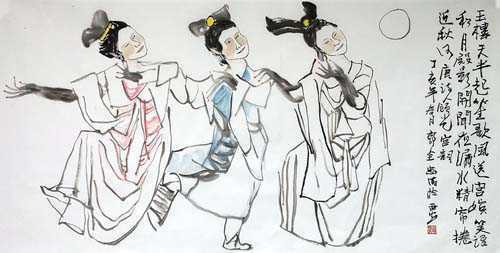 江 城 歌 吹 风 流，In river town songs are sung with the flowing breeze. 月 满 西 楼。The western tower steeped in moonbeams. 几 特 年 华，How many years are gone with ease? 六 月 凉 秋。The sixth moon foretells an autumn cool. 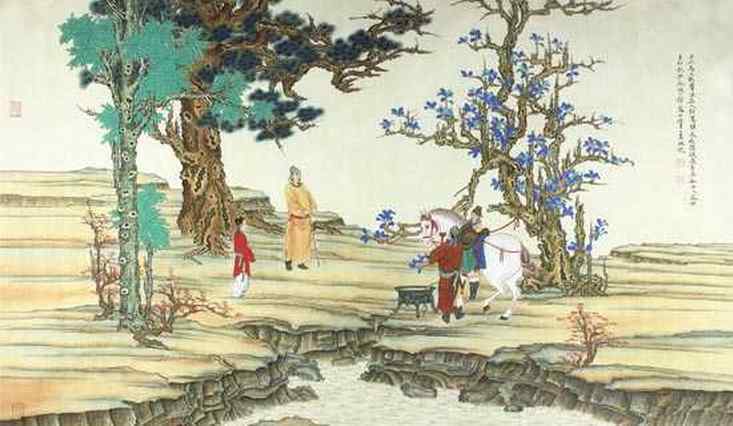 卷 朱 帘 齐 按 凉 州。Crimson curtain uprolled, I hear songs of frontier. 客 去 还 留，How can I not linger still? 河 汉 悠 悠。Under the endless Heaven's River.